Here is what I had for lunch today. 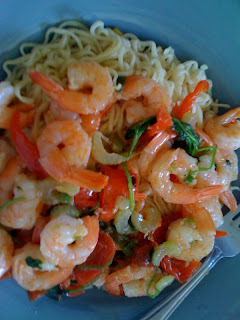 It's shrimp and noodles. Cons: Extra, low nutrient calories from the noodles.